Both belt width as well as idler and drum width are ISO-standardised and are set according to best practice in relation to capacity. 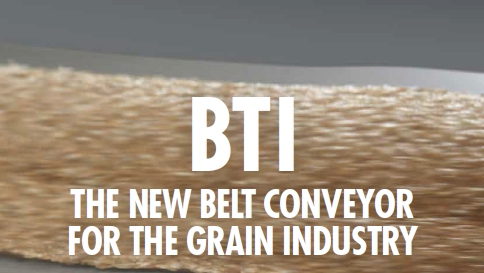 The grain has plenty of space and the belt has good lateral travel. 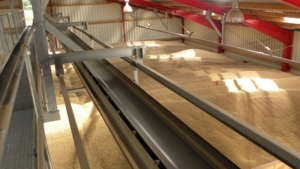 Naturally, the speed of the belt is also set according to best practice, and in addition, conveyors that are 20 metres long or more are equipped with tracking idler sets that ensure the belt control is improved on the return section. In addition, the centred loader is sealed with a PUR strip. In other words, no spill and more stable conveying of the grain. The tail end has generous adjustment travel which reduces the need to re-vulcanise the belt after a period of stretching. 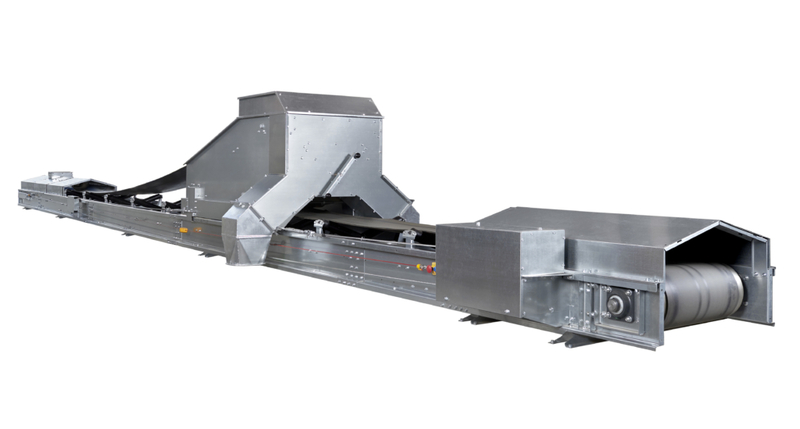 In addition, the idler width makes the conveyor less sensitive to precision in the vulcanisation itself. 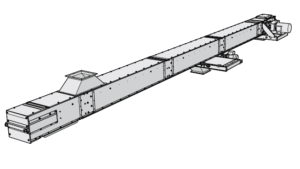 The carrying idler sets centre the belt by means of offset alignment and the position of both carrying idlers can be adjusted individually for more precise belt travel settings and to adjust the offset alignment for reversible operation. As always, we have made sure that the assembly is simple and smooth. Just like all Skandia Elevator products, BTI is part of a modular system. 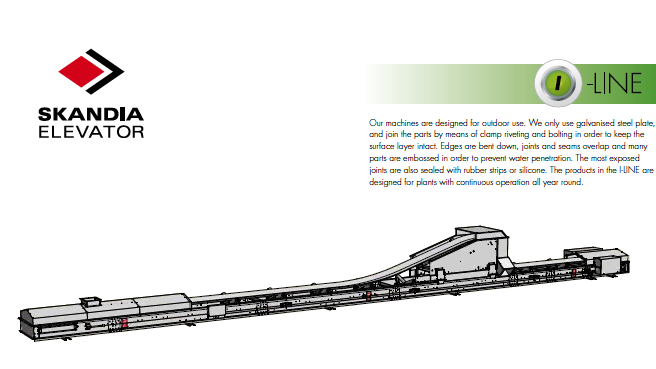 This facilitates assembly and adaptation thanks to controlled processes and good fit. The simple assembly, along with our production engineering, helps to create a straighter and more stable machine from the very start, something that has been in strong demand from the market. BTI is designed for all conceivable environments and installations, both outdoors and indoors. The self-supporting length is up to 6 metres. BTI is available in three different models and each model has two different capacities. 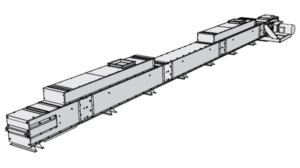 So regardless of the size, each installation can have a belt conveyor that fits perfectly and does not consume more energy than necessary. 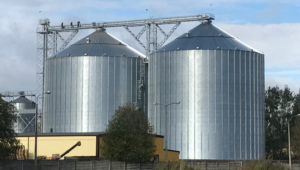 Skandia Elevator never compromises on quality. Only the best materials and components are used. This leads to more reliable operation, increased service life and lower repair costs.